Jessica Rosenworcel voted for the Federal Communications Commission to expand control of the internet in 2015 and now she’s back again. Her return won’t be enough though to stop the FCC’s reversal of those Obama-era internet regulations. Rosenworcel joined the three-Democrat majority in 2015 to vote for net neutrality rules. Don’t let the term fool you. There is nothing neutral about it. The FCC reclassified broadband internet access as a utility under federal law so that it could then regulate internet activity. It passed rules including stopping internet providers like AT&T and Comcast from charging customers differently for faster internet service. Typically, such nominees are paired up in order to improve their chances of a swift confirmation by an ever-partisan U.S. Senate. But Trump opted not to announce his Democratic and Republican nominees together on Tuesday night. That could stoke speculation that Trump actually sees Rosenworcel as a replacement for sitting Democratic Commissioner Mignon Clyburn, whose term expires at the end of June. The White House, for its part, previously has not indicated if it would renominate Clyburn to her post — and a spokeswoman did not immediately respond to an email seeking comment Wednesday. If she’s simply replacing the current only Democrat on the FCC, there shouldn’t be concern about the committee’s planned vote on net neutrality reversal slated for August. Despite her vocal support of net neutrality, Rosenworcel has earned the support of her colleagues on the left and the right as someone who wants to bring internet access to all Americans -particularly kids. “She has a distinguished record of public service, including the four and a half years we worked together at this agency, and I look forward to working with her once again to advance the public interest,” he said. Clyburn also congratulated Rosenworcel on Wednesday. “I look forward to working with her in the fight for an open Internet, affordable broadband and strong consumer privacy protections,” Clyburn said, indicating she hoped to stay on at the FCC for another term. 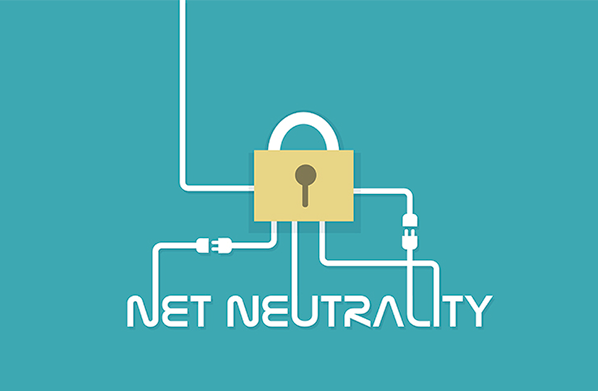 It’s likely these calculations have been considered, so we don’t expect net neutrality reversal efforts to be at risk. It’s important that we return to the “light-touch” approach that Washington had on the internet before 2015. Because of net neutrality, investments fell by $3.6 billion or about 5.6 percent among the top 12 providers. Without heavy new regulations, internet providers of all sizes may be incentivized to invest in the infrastructure needed to expand the internet into every American household.